Governing America is intended to illuminate the character of the American constitutional order as it was created and as it functions today. It examines both the distant-philosophic-background of the Constitution as well as the immediate context in which that document was drafted. It then examines the Constitution itself, the separation of powers, and the three departments of the government that were created in 1787, arguing that the government created then was intended to be impressively powerful, potentially prudent, and partially popular. In fact, the new government was recognized by its creators as potentially dangerous given the scope and character of its powers, as well as its partially popular character. Early attempts to render this new government "safe" are examined, focusing on the presidencies of George Washington, Thomas Jefferson, and Andrew Jackson. In this context, the phenomena of political parties and federalism are considered as tools used to render our government as safe as possible. 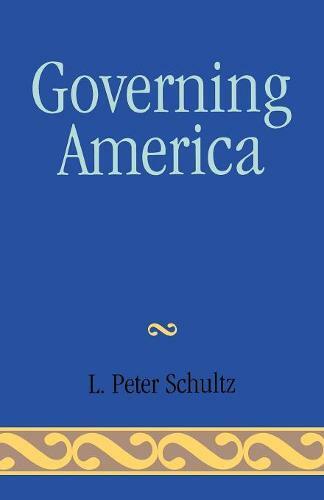 Finally, Governing America examines the link between this powerful government and politics as practiced in the United States today, arguing that our politics are deeply affected by our continuing commitment to a powerful, prudent, and partially popular government.